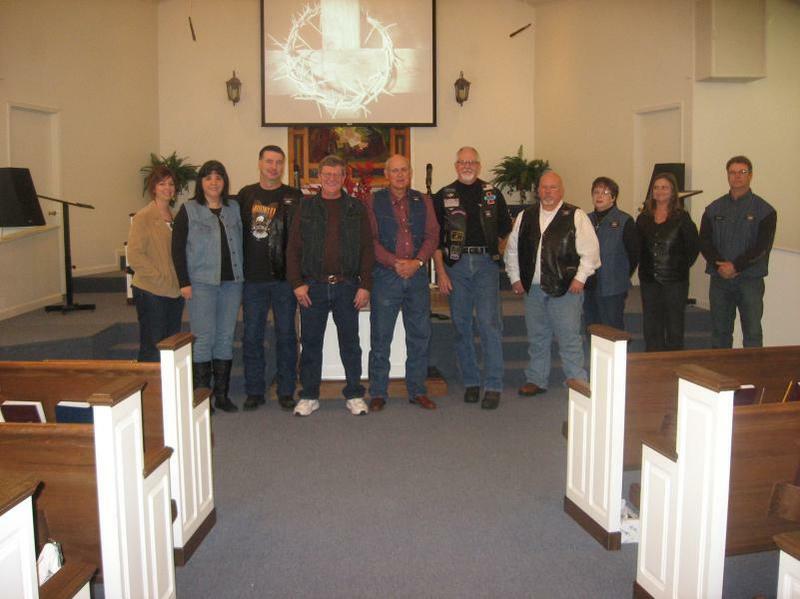 The South Main Baptist Church in Crossett chapter of Faith Riders is now official. Buddy Newsome came to preach the morning message in our church and present us with a Faith Riders chapter plaque. Our patches are in and we had our first monthly meeting, January 30th. Larry King, our president, opened with a devotion and shared some information on "to do's, and not to do's" as a Christian based riding and ministering group. Larry covered many safety issues, how to ride in a group, etc. We elected a road captain, Marty Edgar, and look forward to group rides and ministry projects. Bro. Lyle Hern, our pastor, will train us in how to share our salvation testimony in less than 3 minutes, how to lead someone to Christ, and will offer the training to all in our church. We will meet on the last Monday of each month, and will look into setting up with a local restaurant with a place they can close off for us during the meetings. We discussed some day trip options for the near future, look forward to purchasing Bibles, tracts, Faith Riders Banner, etc., so we can provide a ministry booth when the opportunity arises. Possible plans include going to Daytona next year, Bikes Blues and BBQ this year in Fayettevill, AR, and are looking into local ministry ideas and opportunities. We're off and running. We look forward to the Spring and Summer riding season, going on rides to rallies and various places to minister, and reaching bikers in our area for Christ.